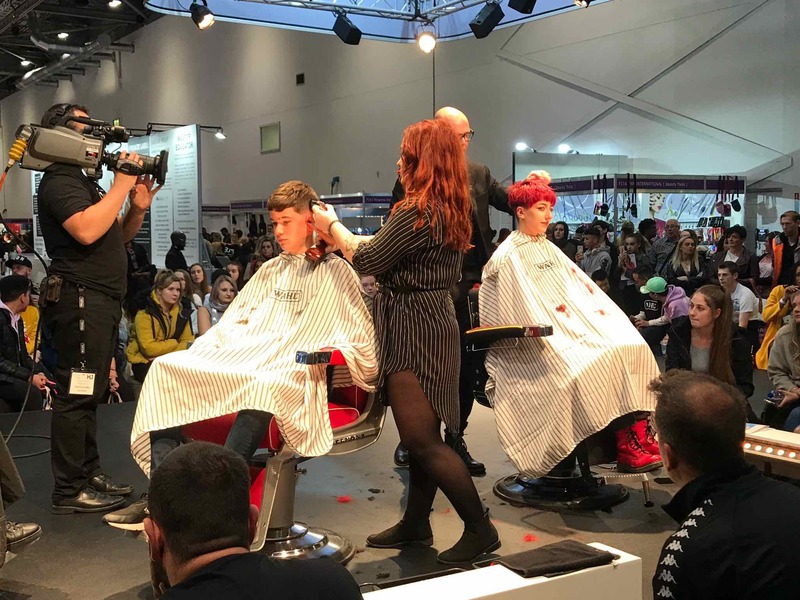 Salon International is the hairdressing industry’s biggest and most well-known annual event in the UK, held in London and attracting 1,000s of creative and contemporary hairstylists to experience the hottest trends and products. 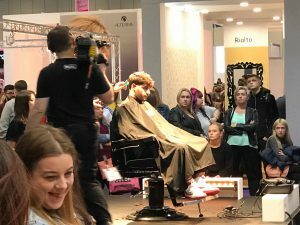 As well as watching live hair shows to pick up hairstyling and creative cutting tips, the Wahl demonstration this year at the Show gave us all ideas for new barbering techniques to try back at our Baldwin Street hair studio. We were also able to pick up new high-quality hairdressing equipment to help deliver even better results for our clients. Another of the highlights for the Aidan Garlington Hair Design stylists at the 2018 Show was to meet inspirational hair stylists, including Patrick Cameron and Trevor Sorbie, to chat about the hottest trends and upcoming styles. 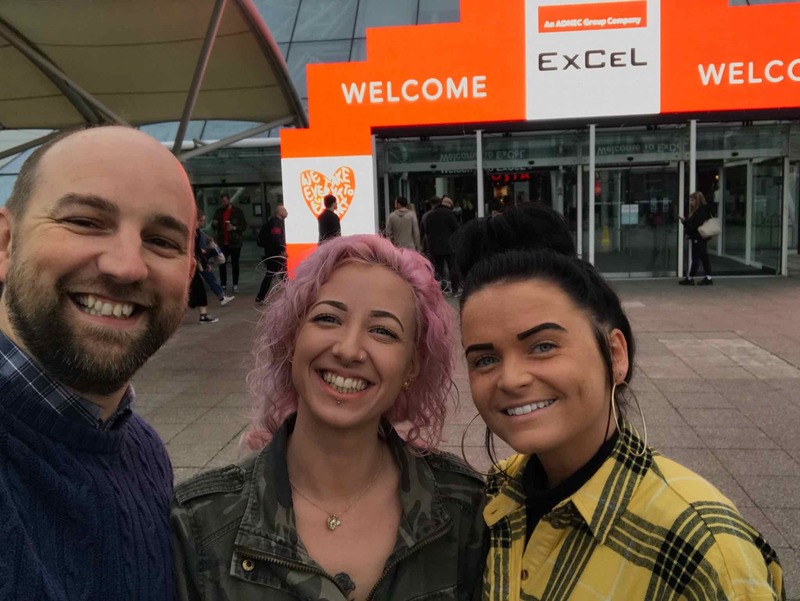 To find out more about this year’s Salon International 2018 Show, please visit here. 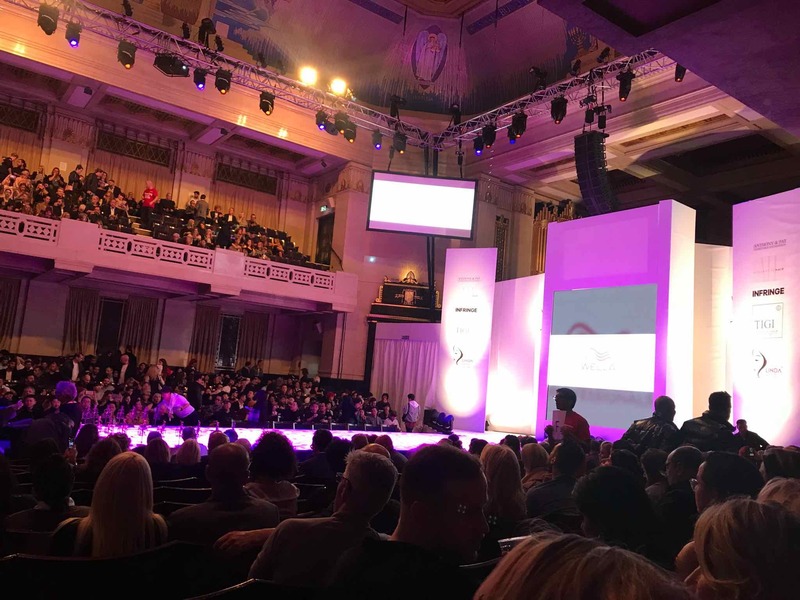 We also had the pleasure of attending this year’s Alternative Hair Show, which is a focal point for raising charity cash and showcasing new styles. 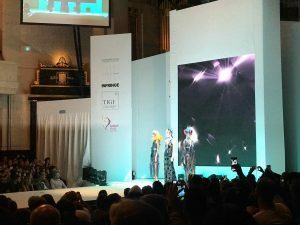 The Alternative Hair Show raises money and awareness for fighting leukemia, and has raised a massive amount of donations for associated charity work, as well as being an amazing way to see cutting edge new hairstyles and colours. The themes of the Alternative Hair show also help to provide inspiration for our styling team back in the central Bristol hair salon for the coming year. This year, we were amazed to see the huge variety of hairstyles showcased from around the world, as well as seeing different shapes and colours. 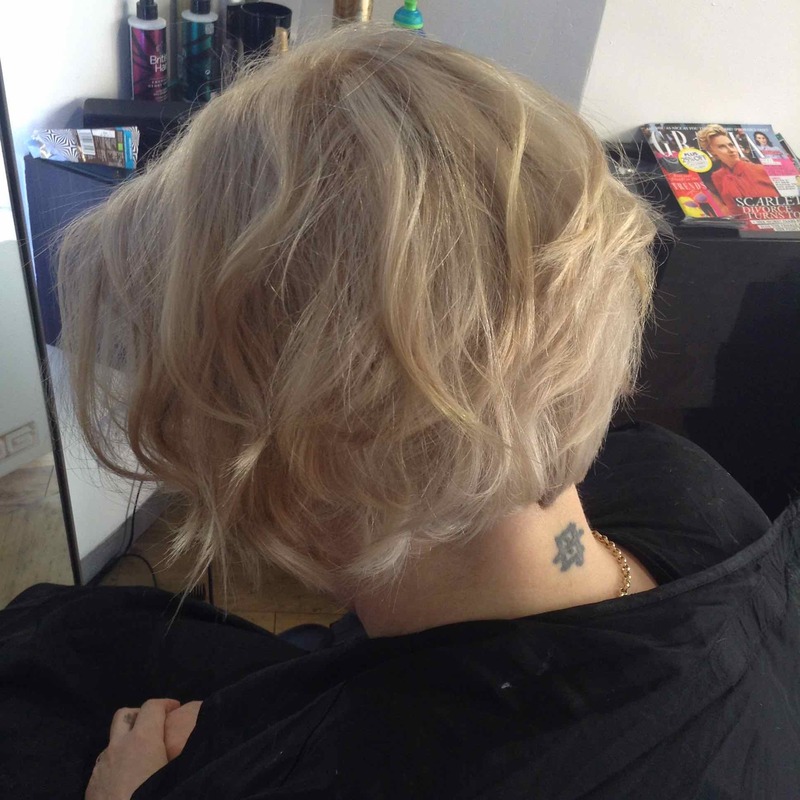 This all helps our Bristol hairdressing team to deliver exciting new styles for clients. To find out more about this year’s Alternative Hair Show, please visit here. It was an incredible experience, and both hairdressing events have really given the stylists lots to think about and try out in salon. To see our full range of new products, Autumn hairstyle choices, salon shampoos, Source Essentielle hair products, nourishing shampoos, barbering services, hairdressing services, British Hair products, blonde toning shampoos, Undercut hairstyles, British Hair products, hair moisturising treatments, hair care, highlighting, hairdressing, British Hair products, hairstyling equipment, hair straighteners, hair curlers, curling wands, hair treatments, hairstyling services, hair toning, hair colouring, haircuts, creative cutting, hair styling equipment, haircuts, and hair extensions we offer, please get in touch here. As part of our regular focus on the central Bristol hairdresser team working at our Baldwin Street hair salon, it’s time to focus on the salon founder and Creative Director at Aidan Garlington Hair Design. Aidan started hairdressing after a work experience placement onto a Saturday job, and enjoyed the fun creative atmosphere so much that he went full-time in hairdressing, to rapidly complete his Level 3 NVQ Hairdressing qualification whilst working as an apprenticeship in at a Bath-based hair salon. Aidan worked at the Bath hair salon for just under five years, then came to work in Bristol where he fell in love with the old city quarter with the fantastic buzz, easygoing atmosphere, and unique markets full of fantastic people. Aidan has now worked as a leading hairdresser in the old city area of central Bristol for over 20 years, having started his successful hairdressing career at Charlie Browns and then onto Adam & Eve (now called Gaudi Hair Design). 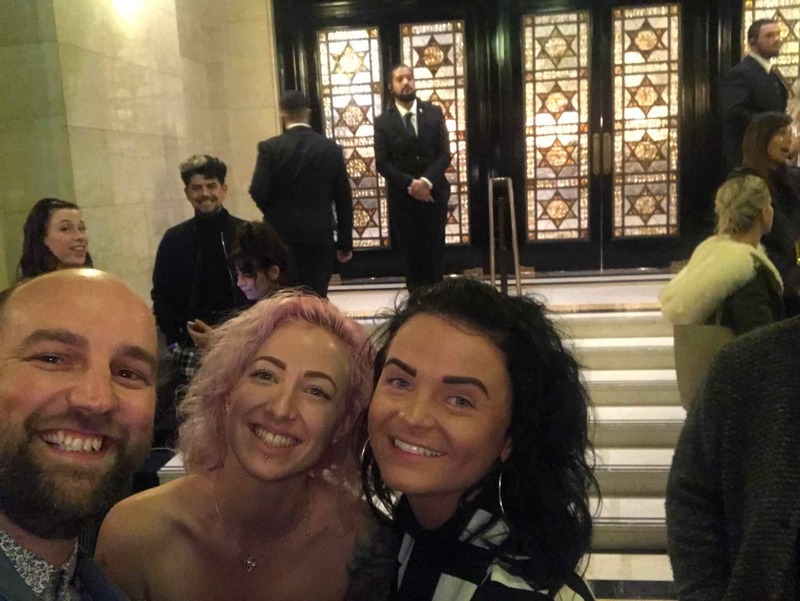 Aidan went on to work as a leading hairstylist at Guy Fawkes, where he trained further, eventually managing the salon and successfully passing his L’Oréal Colour Specialist degree, in which he gained a 93% pass mark. 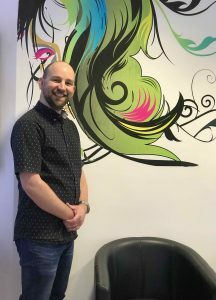 Aidan decided to set up his own salon 10 years ago, and moved to the current central Bristol hair salon located on Baldwin street nine years ago. In his day-to-day duties within the hair studio, he cuts, colours, straightens, curls, and extends hair for clients using all the usual methods such as Raccoon, Beauty Works, Kerastraight, Xtenso and Yuko whilst continuing to utilize his expertise gained from his L’Oréal Colour Specialist Degree. Aidan also took the Trevor Sorbie My New Hair industry training course (wig cutting for cancer patients) five years ago, which was an amazing experience. Aidan works hard to keep up-to-date on current hairdressing trends and hot hairstyles, so that his team at the leading central Bristol hair studio can continue to give clients the best hairdressing experience on Baldwin Street. To see the full range of hairstyling services, British Hair products, hair treatments, hair toning, hair colouring, haircuts, creative cutting, gents hairdressing, hair care, hair styling equipment, haircuts, hair extensions and hairdressing we offer, please get in touch here. 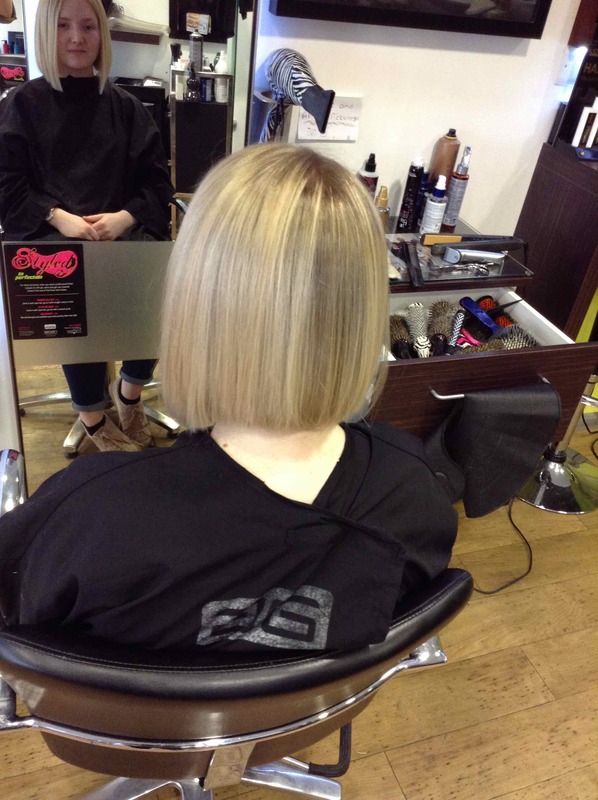 We’ve been looking at some of the hottest hairstyles in central Bristol for 2018, and one of the firm favourites with our team of talented hairdressers at our Baldwin Street hair salon is a classic Bob haircut. 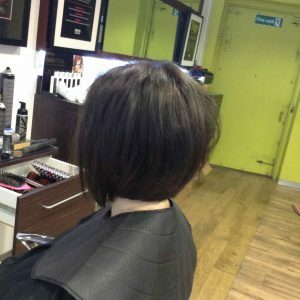 So, to start the year with a focus on this increasingly-popular, low-maintenance and on-trend hairstyle, here’s how we create a Bob haircut in Bristol for our existing and new clients. The hair is shampooed, cut and dried. It can be dried or worn smooth to show off the blunt shape and graduation, or with a wavy curl to show off texture. Our hairstylists believe that the beauty of a classic Bob haircut is its versatility: it can be straight, curly, wavy, big volume, or flat, and can be worn short and graduated all the way to a longer Bob. We can create a Bob hairstyle for all face shapes and lifestyles at our salon. 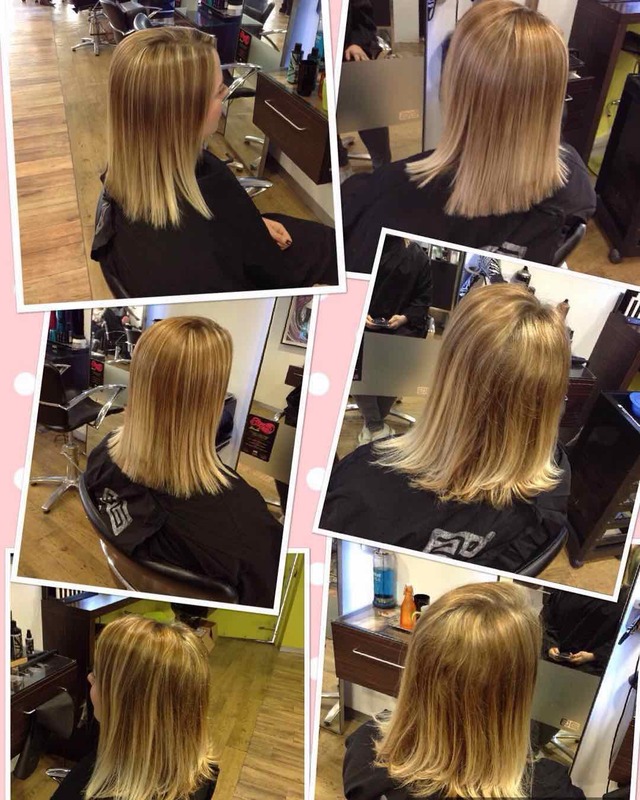 The before, during and after pictures below clearly highlight a gorgeous example of a recent bob hairstyle delivered at our central Bristol hair salon. To finish the Bob haircut, the products used are applied depending on style. So, for example, if the hair is smooth then shine and glossiness will be a key factor. If textured hair is delivered, then a liquid salt spray such as L’Oreal Beach Waves or British Hair Liquid Texture would be applied in-salon by our experienced hairstylists. We think that the straight sharp Bob haircut will be the most fashionable this year in Bristol – come and see us to find out more. 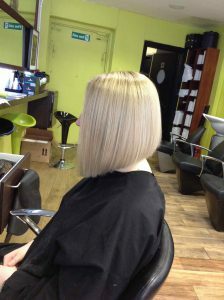 We give all clients a full and free hair consultation at our leading central Bristol hair studio. To find out more about our favourite hairstyles and haircuts, why not visit our Bristol Hairdressing Blog here. To see the full range of hot hairstyles, British Hair products, hair treatments, hair toning, hair colouring, haircuts, creative cutting, hairstyling, gents hairdressing, hair care, hair styling equipment, haircuts, hairdressing, and hair extensions we offer, please get in touch here. 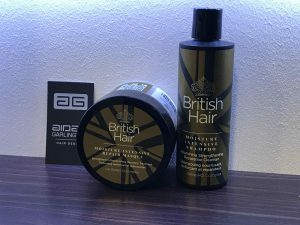 We’ve been stocking British Hair products at our Baldwin Street hair studio for a while now, but we’re really pleased to be able to give clients an exclusive offer on British Hair Moisture Masque at our central Bristol hair salon. British Hair Moisture Masque provides a moisture-intense shampoo which hydrates as well as protecting hair colouring treatments at the same time. It strengthens and detangles hair, and gives the added benefits of being anti-frizz and anti-static, giving clients a high level of Winter hair care. The shampoo is paraben and sulphate free, and is best suited to chemically-treated hair, including coloured and straightened hair that needs careful maintenance and protection against the elements as Winter weather hits it. The British Hair Moisture Masque treatment helps to restore moisture levels in the hair, as well as maintaining hair strength, protecting and repairing chemically-treated hair, and is also paraben and sulphate free. 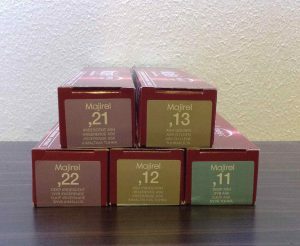 The usual prices for these products in-salon are £9.95 for the shampoo and £12.95 for the Masque – but if you mention this blog post, get both together for only £15, while stocks last. Please remember to mention the blog post to get the exclusive discount price. 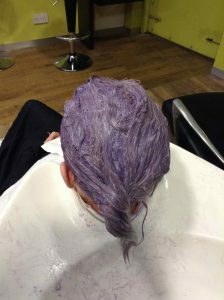 To find out more about our hair products and hair treatments, why not visit our Bristol Hairdressing Blog here. To see the full range of British Hair products, hair treatments, hair toning, hair colouring, haircuts, creative cutting, hairstyling, gents hairdressing, hair care, hair styling equipment, haircuts, hairdressing, and hair extensions we offer, please get in touch here. We’re really pleased to announce that one of the favourite qualified hairstylists at our Baldwin Street hair salon in Bristol, and we wanted to highlight her on our hairdressing blog. As a Graduate Stylist, Ashleigh (22) has recently celebrated two years working with the team of hairdressers in central Bristol at Aidan Garlington Hair Design. She specialises cuts and colours, but also offers student haircuts in central Bristol with a high quality standard of hairstyling at reasonable prices. 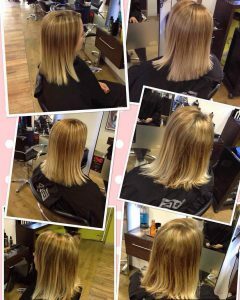 Ashleigh particularly enjoys hair colouring and hair extension work, and is qualified in all aspects of hairdressing work including Kerastraight hair treatments and creative cutting. “Ashleigh has been with us for two years now, and she’s made a huge impact in the salon whilst also building a large and loyal client base during that time. 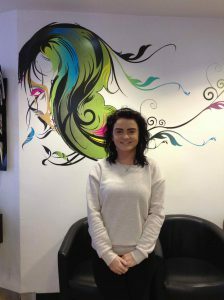 Ashleigh is fully qualified and is passionate about continuing to build on her advanced level of hairstyling skills at our Bristol hair salon. To celebrate Ashleigh’s two years with us, we’re going to give our Bristol Hairdressing Blog readers a special offer too. Any client booking with Ashleigh can get either a half-price cut and a blow dry with any hair colouring service, or a British Hair treatment for free with any cut and finish service booked. Ask at our Baldwin Street hair salon for more details, and pop in to see Ashleigh and the rest of our talented team of central Bristol hairstylists. To see the full range of hair treatments, hair toning, hair colouring, haircuts, creative cutting, hairstyling, gents hairdressing, hair care, hair styling equipment, hair products, haircuts, hairdressing, and hair extensions we offer, please get in touch here. Christmas is coming, and our Baldwin Street hairdressers have got a fantastic offer with half-price Olaplex and SmartBond hair treatments in central Bristol. Running up to and including Christmas, any client booking in for a cut, hair colour or blowdry service with us will get £10 off any Olaplex or SmartBond hair treatment. The usual price for these hair treatments is £20 each. Olaplex is a superb hair treatment developed to prevent hair damage from a range of potential causes, including excessive chemical additions during hair colouring over time. Olaplex helps to enhance the internal condition of hair. Olaplex works best in rebuilding hair quality, acting as a barrier to prevent further hair damage, and is typically used during hair bleaching, hair colouring, and hair highlighting services in-salon. Olaplex also helps to maintain healthy hair, and our central Bristol hairstylists recommend it as the top treatment for enhancing hair softness and shine. Olaplex has the added benefit of helping to prevent hair breakage, whilst also reducing the fade time on hair colouring services, keeping your hair colour brighter and radiant for longer. 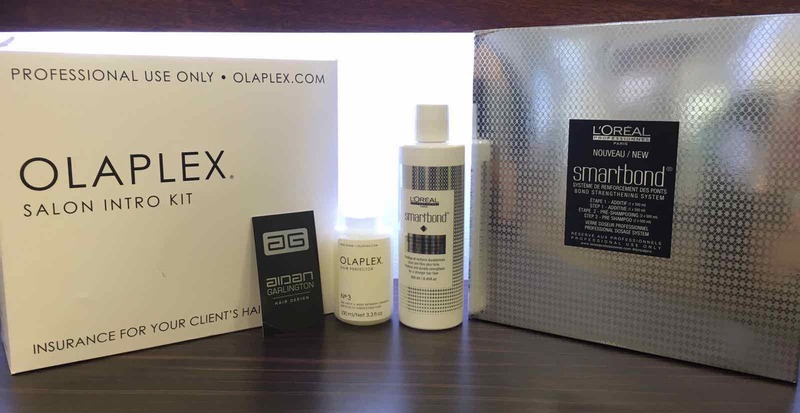 To find out more about Olaplex, please visit a previous blog post we wrote here. SmartBond is a recent hair service from L’Oreal that protects hair fibres during hair lightening, and is specifically designed to be used by hairdressers. Developed at L’Oreal’s Research & Innovation Department utilising more than 100 years of expertise and long-standing knowledge in hair care, SmartBond has been created to enhance hair care for clients visiting our Bristol hair salon, and our hair colouring experts love using it too. The sole purpose of SmartBond is to deliver stronger, softer, shinier hair. SmartBond is retailed as a hair restructuring service, and we’ve had an amazing response since providing it at our Baldwin Street hair studio. To find out more about SmartBond, please see a previous blog post we dedicated to SmartBond when we first launched it in-salon here. 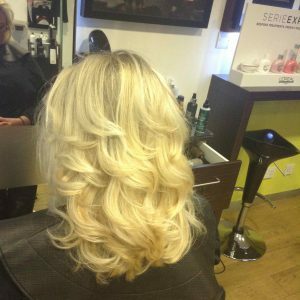 To access this half-price deal on Olaplex and SmartBond hair treatments in central Bristol, please mention this blog post when you book with us before the Christmas break. The offer is available on limited bookings in December. 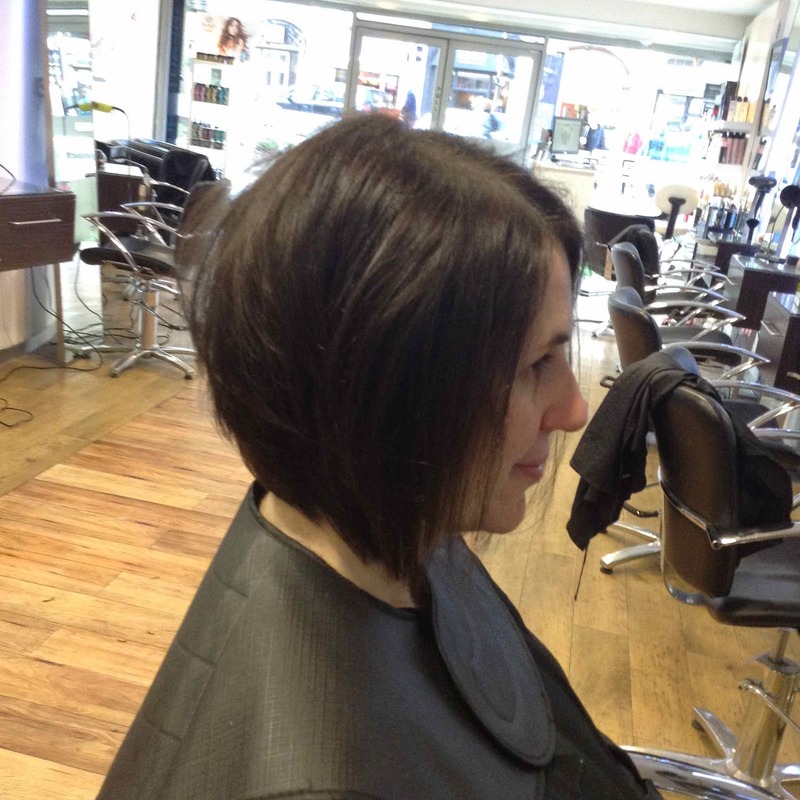 For further hair care advice from our central Bristol hair salon, please visit our blog here. To see the full range of hair treatments, hair toning, hair colouring, haircuts, creative cutting, hairstyling, gents hairdressing, hair care, hair styling equipment, hair products, haircuts, hairdressing, and hair extensions we offer, please get in touch here. We’ve got a stunning new hair toner in central Bristol to offer clients looking for amazing hair colouring – with the launch of L’Oreal Metallics. 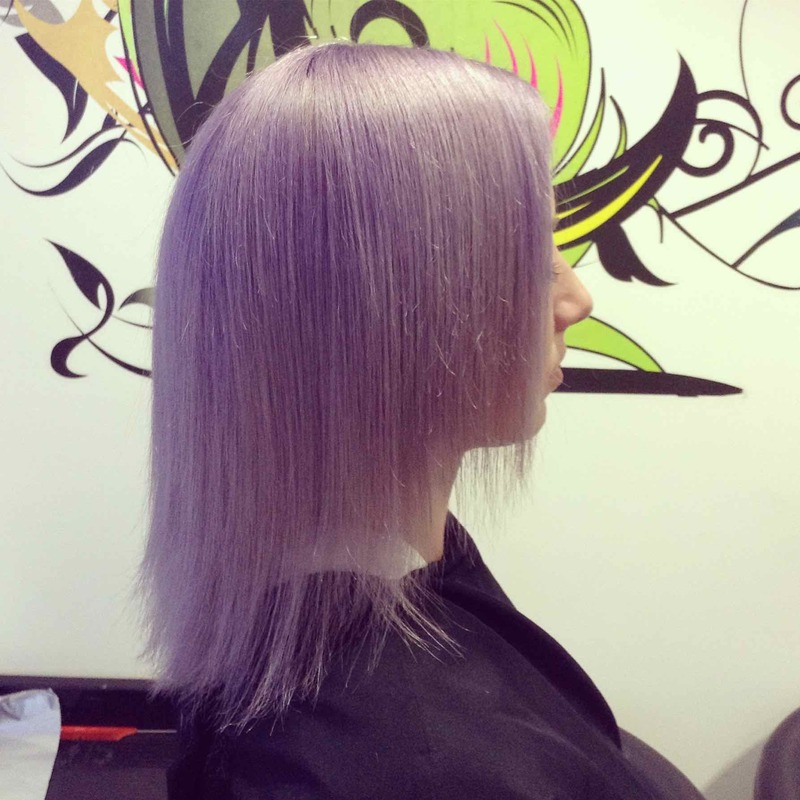 These new hair toners at our Baldwin Street hair studio in Bristol include violets and ash colours, with subtle pure toners and soft colours. 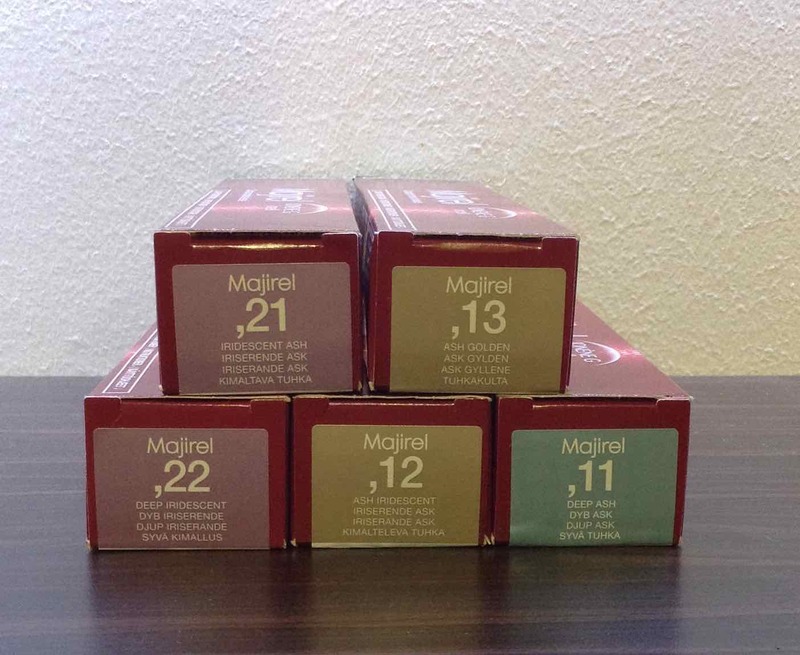 The new L’Oreal Metallics hair toners offer versatility for clients and can be applied on light or pre-lightened hair. The Metallics hair toner range is suitable for all hair types, including bleached hair and can be effective for up to eight weeks, depending on hair condition. It’s a quick and easy hair toning service, too, and is perfect for clients looking for a fast and gorgeous alternative to traditional hair colouring services. For example, on hair that’s already lightened, our hair toning service using Metallics would only take 20 minutes to apply, then another 20 minutes to develop. With pre-lightened hair, this service would only cost £15-20. On darker hair, our new hair toning service would take from two and a half to three hours in total, and cost from £65, depending on hair condition. To find out more about L’Oreal Metallics and our hair toning services in central Bristol, please get in touch and book in a full hair consultation with us. 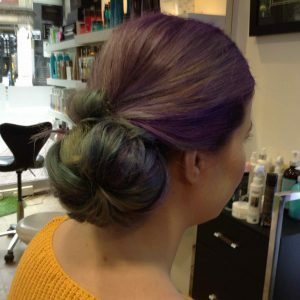 To see examples of gorgeous hair colouring and seasonal hairstyles from our central Bristol hair salon, please visit our blog here. To see the full range of hair toning, hair colouring, haircuts, creative cutting, hairstyling, gents hairdressing, hair care, hair styling equipment, hair products, haircuts, hairdressing, and hair extensions we offer, please get in touch here. It’s that time of year when all of our lovely clients are thinking about Christmas hairstyles and party hair ideas – and our Bristol hairdressers are on hand. We’ve got a selection of seasonal hairstyles and festive haircuts to consider, so that Christmas and the office party season gives you the best hair ideas. 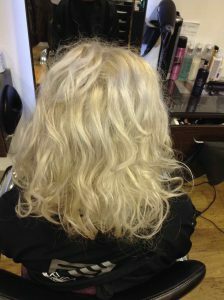 The Curly Blow-Dry shown above was created by using British Hair Curl Cream, with the addition of British Hair Texture Salt Spray. Using a medium-sized round brush, helping to create volume and textured loose waves. This Christmas hairstyle took around 45 minutes, from £19.50. The second festive party hair look from our Baldwin Street hairstylists is a 15-Minute Hair-up, and the example below was styled using British Hair hairspray, as well as British Hair Style Dust, to give texture and hold, but also allowing the hair to move and to be restyled. 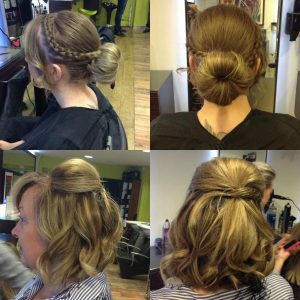 The lightly-curled hair was worked with hair straighteners and left to fall naturally, with French plaits added on both sides then worked into a smooth bun for the client. Adding soft curls can give a more glamourous, volumised style for an office party, or it can be kept sleeker to give a more sophisticated overall look. Our classic 15-Minute Hair-Up is part of the Styled To Perfection menu, and is available for only £15. The third festive party hairstyle from our team is called Stuck On You, and involves adding hair wefts into the hair. These don’t require application using heated tools, so the integrity and condition of the hair is fully maintained. 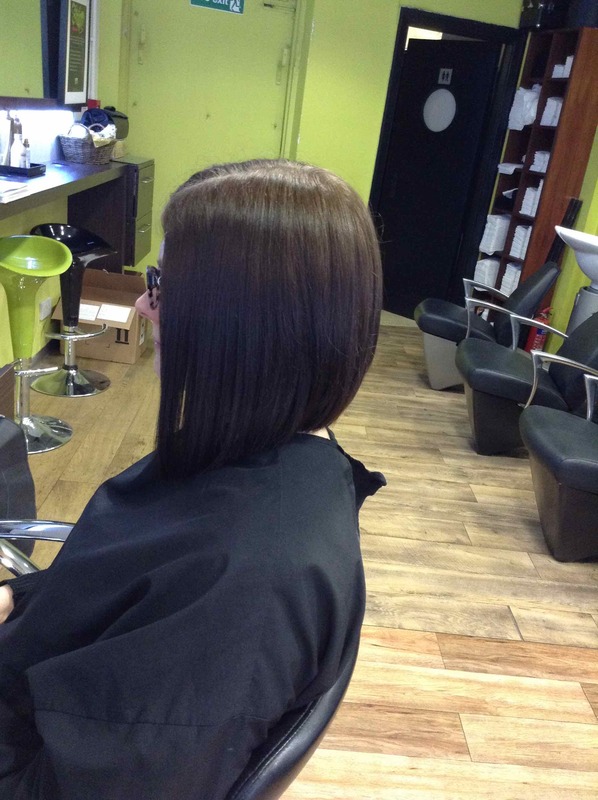 Each hair weft costs £17.50, or we can re-stick an existing weft for £5 each. The hair wefts are from brand name Raccoon Hair, made of 100% human hair, giving you the ability to straighten, curl, blow-dry and style as you wish. To see examples of gorgeous haircuts and seasonal hairstyles from our central Bristol hair salon, please visit our blog here. To see the full range of haircuts, creative cutting, hairstyling, gents hairdressing, hair care, hair colouring, hair styling equipment, hair products, haircuts, hairdressing, and hair extensions we offer, please get in touch here. The Autumn has arrived, and hair care is top of the agenda for our clients – so, we’re really pleased to be offering discounts on Kerastraight hair treatments at our central Bristol hair salon. 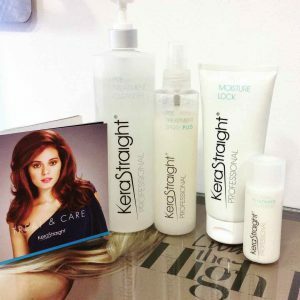 Kerastraight is a premium-quality hair treatment that strengthens and repairs hair, whilst eliminating frizz and rebuilding hair structure during treatment. Suitable for any hair type, Kerastraight is suitable for any hair type and lasts for up to four months form the original luxury hair care application in-salon. 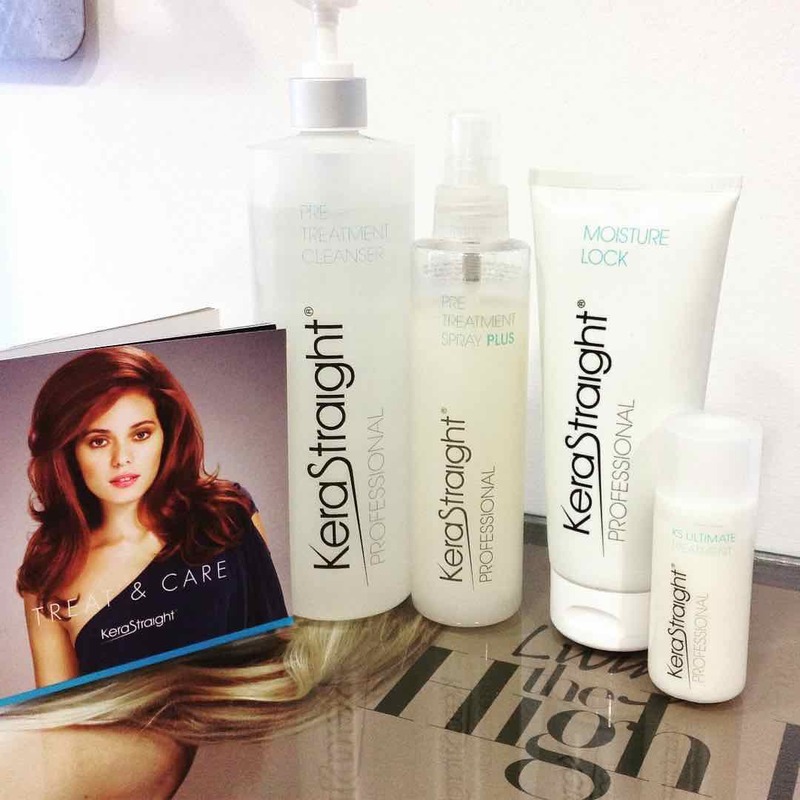 Kerastraight is essentially a Brazilian blowdry service with no formaldehyde. It is superb at smoothing and straightening hair, whilst removing frizz and making hair easier to manage at home following our in-salon treatment. 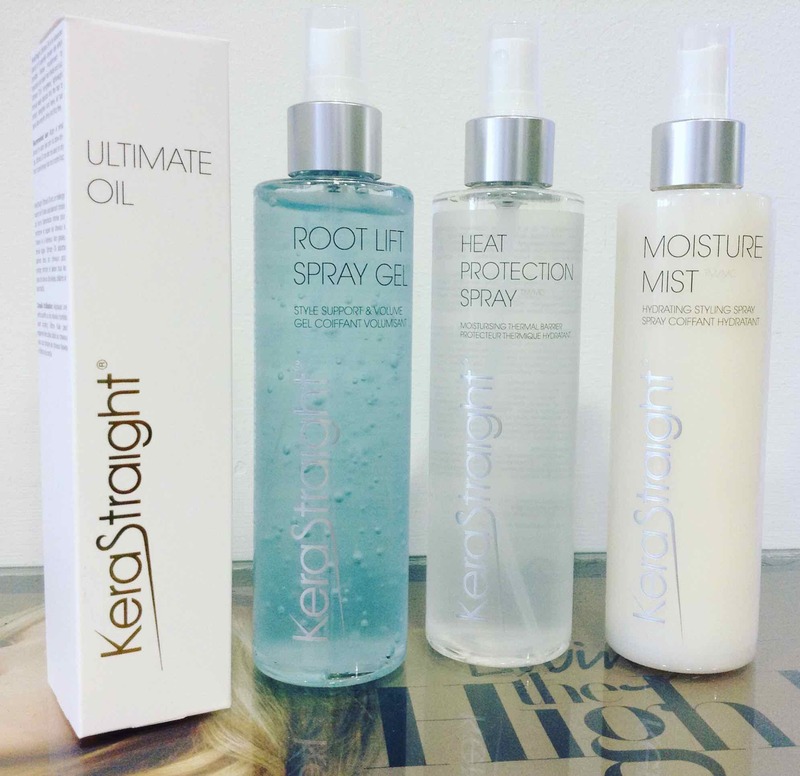 Kerastraight treatments at our central Bristol hair studio help to reduce the effects of humidity and water on the hair in wet Autumn weather, and leaves hair in amazing condition whilst also adding keratin for extra conditioning. All of our hair stylists have received specific training in using Kerastraight. The Kerastraight hair treatment is applied and left to process, with time depending on the hair coarsity, overall condition, and length. The hair is then rinsed, dried, with neutraliser applied and left to process. Another rinse is delivered, and then the hair is straightened. The total Kerastraight service takes around two hours, depending on hair thickness. Kerastraight treatments at our Baldwin Street hair salon range from three main prices, including £150, £190 and £240 depending on hair length. It’s critical to use sulphate-free shampoo and conditioner afterwards at home, to maintain the hair integrity following a Kerastraight hair treatment in-salon. As a special offer, we’re offering all clients booking in for a Kerastraight hair treatment a 30% discount on all Kerastraight hair products to take home. 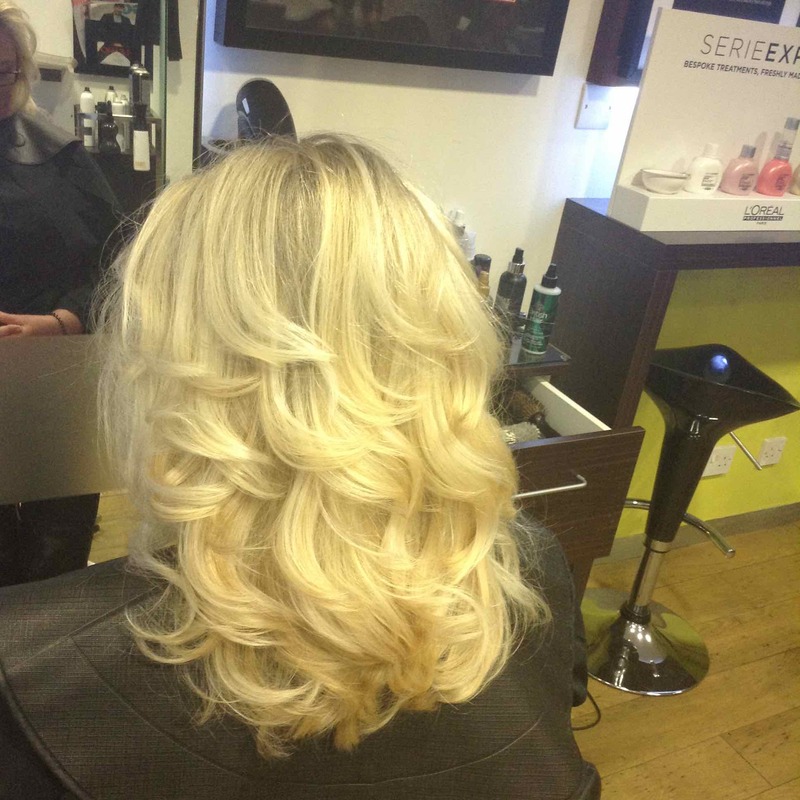 Simply mention this blog post when you make your Kerastraight booking. To see the full range of hair treatments, haircuts, creative cutting, hairstyling, gents hairdressing, hair care, hair colouring, hair styling equipment, hair products, haircuts, hairdressing, and hair extensions we offer, please get in touch here. 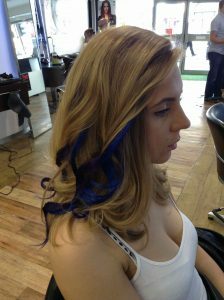 Our talented hair colouring experts in central Bristol have delivered another stunning hairstyle at our Baldwin Street hair salon this week. 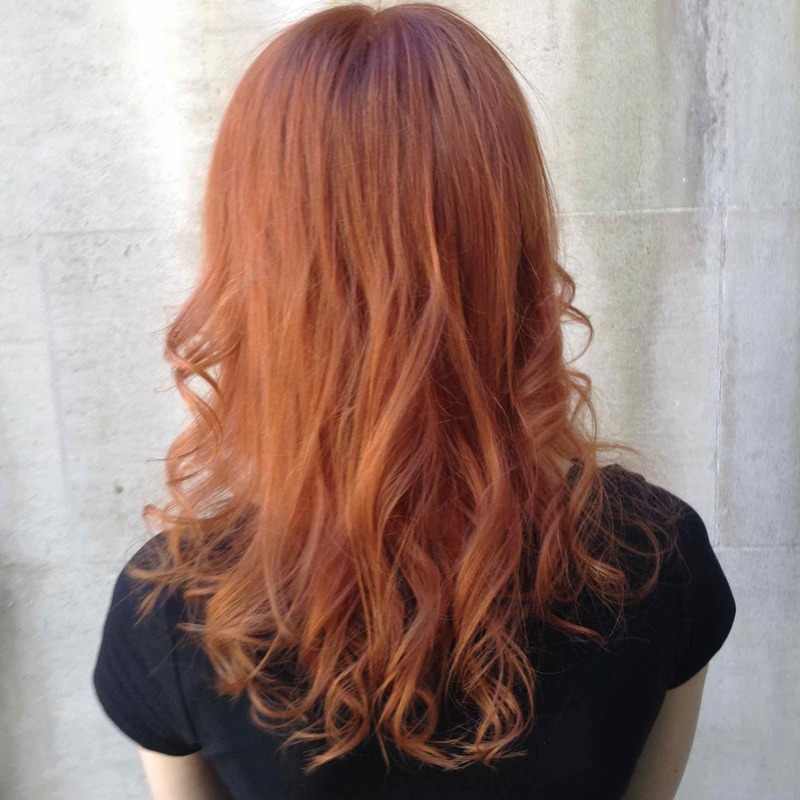 The stunning soft copper hair colouring example below is one of the most popular client requests our Bristol hair colourists are getting at the moment. 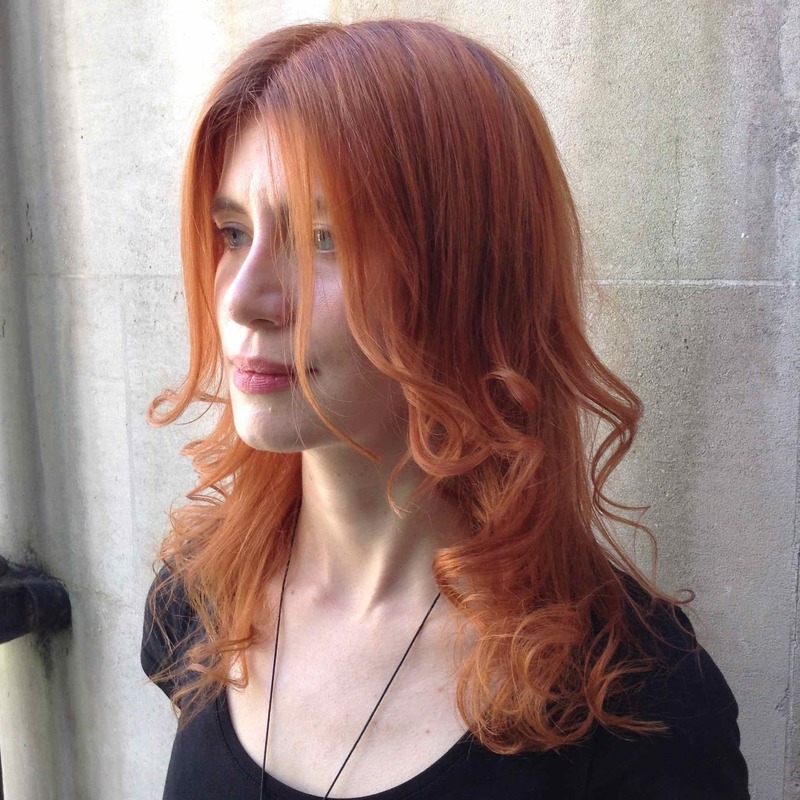 The client came into our central Bristol hair studio with grown-out bleach highlights and wanted an on-trend hair colouring service, so we suggested a soft copper. 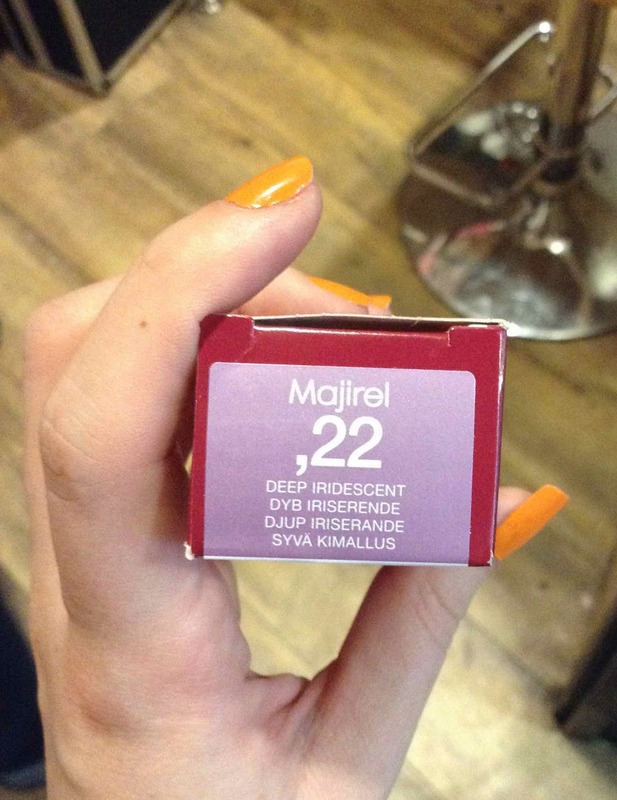 After washing and conditioning the hair, we used an 8.3 pre-pigment, then a global application of 7&7.43 L’Oreal Majirel to deliver a stunning hair colour. The time in the chair for this soft copper hair colour was around three hours including a cut and finish. Prices vary on application depending on the stylist. For this particular cut and colour, our Senior Stylist Paul delivered the service, costing £20 for the pre-pigment, £39 for the full-head colour, and £39.50 for the cut and finish. It’s a stunning look which requires low maintenance in Winter. We also offer a full and free hair consultation for all clients, so if you’re looking for a restyle, new hair colour, or complete transformation of your hairstyle, book in to see our central Bristol hairstylists this month. Pre-booking advised! What’s the most popular hairstyle in Bristol this Spring?